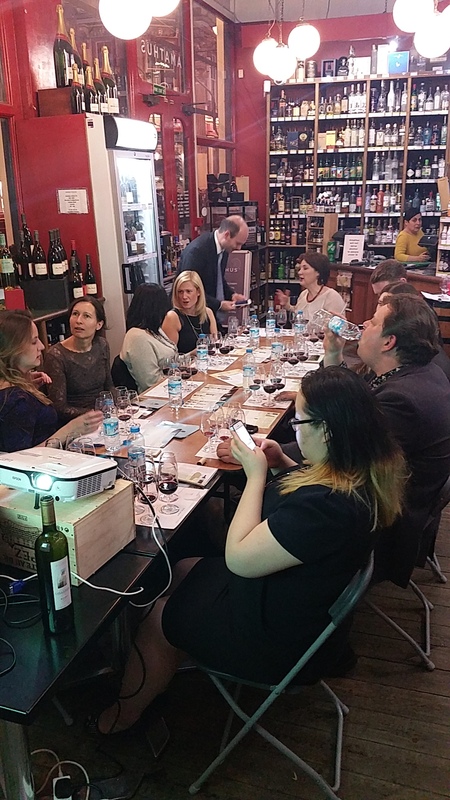 On Wednesday and Thursday night we opened our doors to Enrique Carelli, owner and winemaker of Bodegas Carelli, to give a series of masterclasses, held at our City and Shoreditch stores. The Bodegas Carelli winery has been owned by the Carelli family since 1943 when Santos Carelli planted their first vineyards in Argentina’s premium Mendoza region. The winery is now under the control of Santos’ son, Enrique who works with his son (also called Enrique). The winery lies on a latitude of 34 degrees which defines the style of wine they produce and gives it its distinct fresh and floral character. The masterclasses began at 6.30pm with an introduction into the winery, production, fermentation and bottling. 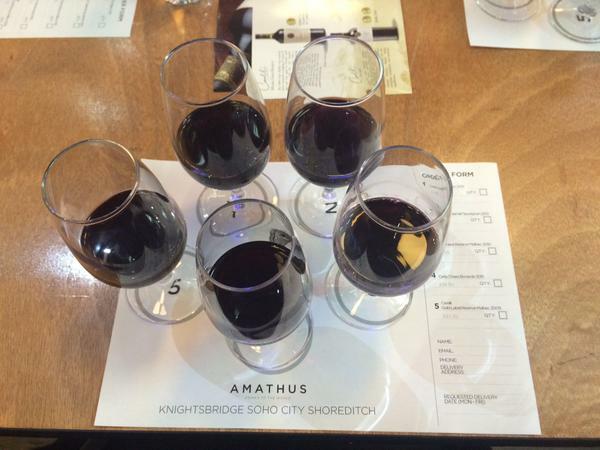 After the introduction it was straight into the tasting.. the part I think everyone was looking forward to the most. I know I certainly was! Up first was the Carelli 34 Malbec 2013, the flagship wine for Carelli. It was fruity on the palate, very easy to drink with some great plum and cranberry perfume… at only £8 a bottle it defiantly didn’t disappoint! Next under scrutiny was the Carelli 34 Cabernet Sauvignon 2012. This is a fantastic cabernet with vibrant fruit flavours and cinnamon spice to the nose. It’s well balanced with medium acidity and soft tannins. What was really interesting to find out was that the Carelli 34 range has been named after number 34 for a particular reason. Possibly like everyone else I just assumed that they used 34 because the winery lies on a 34-degree latitude. But in fact, it’s because Enrique’s father won the lottery with number 34, he then used the money he’d won to purchase the Carelli winery. How amazing is that! 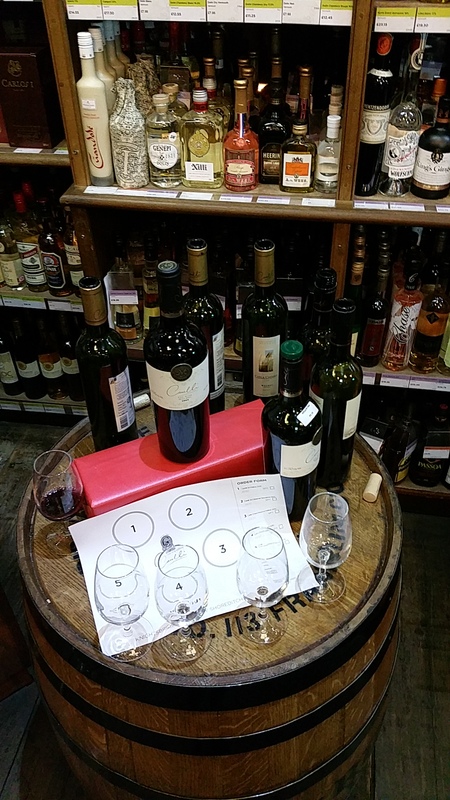 So back to the tasting.. next up was the Carla Chiaro Malbec Réserve 2010. This was rich in flavour with green bramble and blackcurrant intensity which provided a nice long finish in the mouth. Number 4 on the list was the Carla Chiaro Bonarda 2010. This was the most interesting of the wines with a distinctive smell of manure, some oaky notes, black fruits and cherries with fine tannins. Last but not least was the Carelli Reserve Malbec 2009. This was a favourite of mine, it was deep in flavour with a complex array of vanilla, sweet spice, black fruits; balanced perfectly with well-rounded tannins and a very smooth finish. Perfection! I’m now even more excited to taste the Carelli Malbec 2010 which has just won a silver award at the IWSC. Congratulations! The passion Enrique showed for his wines was inspiring, certainly for me anyway, it made the masterclasses that bit more exciting. It was almost as though he was discovering the wines for the very first time again. The masterclasses were a huge success, thanks Enrique for bringing us some fantastic tasting wine! Please visit our website to browse our selection of Carelli wines we have available in store and online and to keep up to date with our upcoming masterclasses. < Previous Say yes to Rhum Agricole!